It’s generally accepted that you wait until you baby is around six months old before you try to give them solid foods. Babies should only be given milk for the first six months and then at around six months old, they should naturally develop a desire to eat solid food. Before this point, your child’s digestive tract isn’t mature enough to handle solids. Although this isn’t something parents can observe, research shows us that this is around the time that babies will be showing signs of being ready for solids as described in this article. Most babies are usually physically ready and will start showing signs of wanting to eat solid nourishment between six and eight months old. If your child can sit upright by themselves without your help, then they should be about ready to try eating. If they still can’t sit upright, it’s still a little too early. The tongue-thrust reflex is sometimes called the ‘extrusion effect’. Here, when the baby’s lips are touched, the tongue automatically pushes forward. This helps when breastfeeding or bottle feeding, but it doesn’t help when eating solid food. Therefore, try a few times to feed your baby and if they keep pushing it out, they’re not quite ready yet. When you’re sitting down to eat, does your baby try to grab at your food and put it in their own mouth? This is your kid’s way of telling you that they want to try eating solids. If your child is doing this, then try to feed them solids right away. If they still aren’t taking it, you can try again in the next few days. What is your baby doing with their mouth when they are not eating? Are they making a sucking motion, chewing motion or nothing at all? If you notice that they are making a chewing action, you can try to give them solid food and see if they will take it or not. Once your baby has a developed the ability to grasp things with their thumb and forefinger, they then start to use their fingers to scrape food into their palm. When you see them start trying to do this, you should try to feed them solids. If you start to notice any of these signs that your baby is ready for solid food, then you can try to give them baby food. You don’t need to persevere too much in the beginning. Just gently try to feed your baby some food and see what happens. 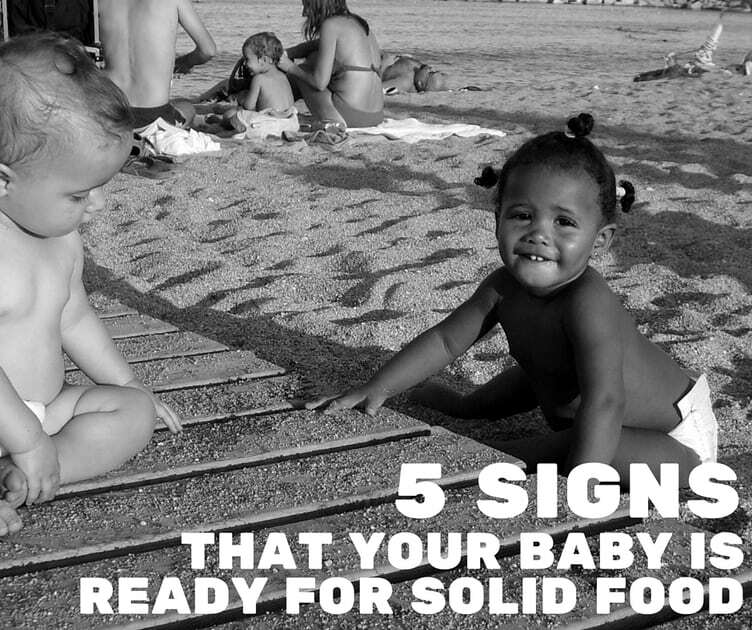 Try a couple of times and you’ll see if your baby shows any signs of interest. If not, then simply try again in a few days or when you notice any of these signs again. At some point your child will start to taste the food and digest it. When this happens you can start slowly increasing the amount of food that they eat. You might notice that your child is doing some of the things described in this article. However, all babies are different it might be that your child shows no sign at all. Just keep an eye on your child and when they get to around six months old, look out for changes in their behavior and slowly try to introduce solid food. The Healthy Baby Meal Planner: 200 Quick, Easy, and Healthy Recipes for Your Baby and Toddler Fully revised and updated with new and enhanced recipes and an improved layout, The Healthy Baby Meal Planner is a fun, easy-to-follow, and comprehensive guide to creating homemade meals for infants and young children. 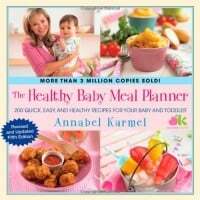 The Healthy Baby Meal Planner shows parents how to start their babies off to a lifetime of healthy and happy eating. Focusing on what foods are appropriate for each stage of a child’s development from infancy to age two, Karmel discusses the best first foods, how and when to introduce fruits, vegetables, and other solid foods, and how to create tempting dishes even for the fussiest of eaters.